Orrville, Ohio – For generations, the Folgers® Jingle has been a welcome tune in the homes of Americans. 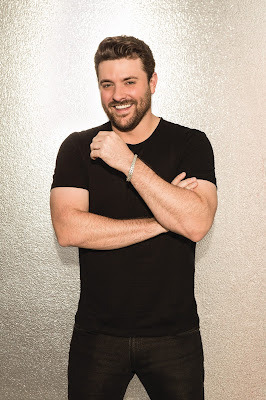 This year, Grammy® nominated country music singer-songwriter Chris Young has partnered with Folgers® Coffee to inspire musicians to follow their dreams by putting their own spin on the iconic jingle and entering their version into the Folgers® Jingle Contest. From January 30, 2017 through February 20, 2017, individuals can submit a video at Folgers.com of their unique musical performance of the jingle for an opportunity to win a mentoring session with Chris Young. One grand-prize winner will receive $25,000. Musicians are invited to take a moment to reflect, connect and create their own unique version of the Folgers® Jingle in video format. The video must include the complete melody and lyrics of “The Best Part of Wakin’ Up is Folgers in Your Cup®.” Once complete, the video must be posted to Jingle.FolgersCoffee.com. A qualified judging panel will select five semi-finalists for an online vote and a special mentoring session with Chris Young. From March 20, 2017 through April 16, 2017, fans around the world will have the opportunity to vote daily for their favorite finalist’s jingle. In May, one Jingle finalist will be selected as the grand-prize winner of $25,000. For official rules, visit Jingle.FolgersCoffee.com.